The last couple months, my daughter E and I have been learning a a lot of new songs and fingerplays. 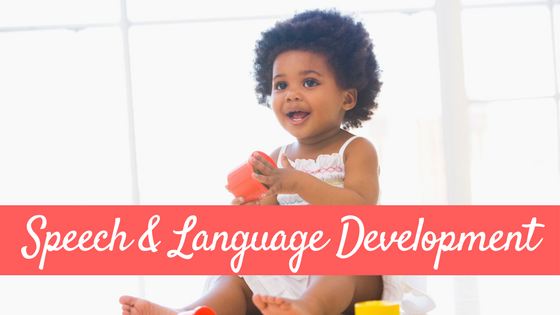 Songs and fingerplays are an AWESOME and FUN way to help your child learn new language. 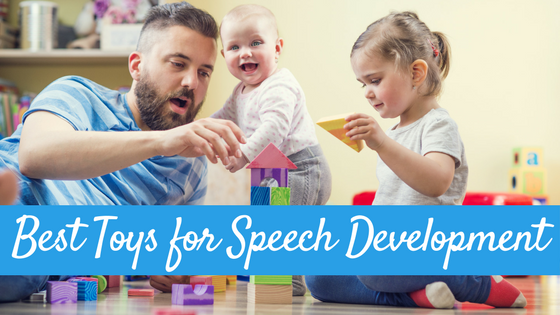 They also are setting your child up to be better readers as songs and fingerplays, especially the ones that have rhyme, encourage the development of preliteracy skills including phonological awareness skills. When I was collecting songs for my post 10 Fall and Thanksgiving Fingerplays, I specifically looked for some owl fingerplays because I am totally into owls right now (as is a whole lot of other people, just look at Pinterest!). and I did fine one cute one. And then I thought “How cool would it be to have owl finger puppets to go along with this fingerplay?” And so, you know, I went ahead and made them myself. Printer to print the template, and paper to print it out on (I suggest card stock, but I actually made all mine with a simple paper template). Place the templates on the felt and either trace with a pen (and then cut), or cut around it as you hold it to the fabric. For each owl, you will need to cut out one body, one belly, one beak, two eyes and two wings out of whatever colored felt you would like. I chose to use three colors per owl. Once you have cut out all parts of the owl, select the owl body. You are going to create a cylinder with the rectangle by placing the rectangle on the table horizontally, folding one side over towards the middle, placing hot glue along the edge, and then folding the opposite side over placing it on the hotglue. Once you have made your cylinder, it’s time to make the owls ears. You are going to do this by first folding over one edge of the top of the cylinder inward (see picture). Place hot glue on the “lip” you create, and then fold over the opposite side onto the hot glue. This will create two pointy owl ears. Next, it’s time to glue the owl belly on. Now, it’s times for the eyes. First you will want to glue your googly eyes on your template owl eyes with your hot glue. Once they are dry, it’s time to glue the eyes on your owl. Now your owl needs a beak! Go ahead and glue the beak on below the eyes. Last step, time for the wings. Glue one wing on either side of the belly (as shown in the picture). Ta da! You have made an owl finger puppet! Now you can make four more and use them with the One Little Owl finger play. Want the rest? 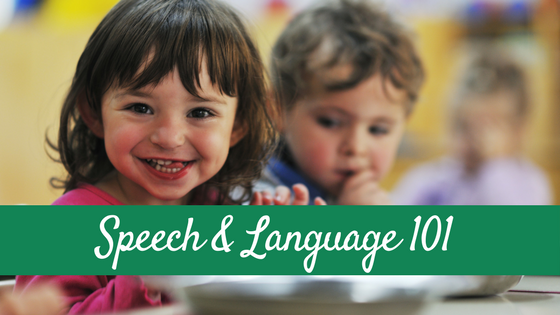 head over to Preschool Express to read the rest of this cute finger play! I hope you enjoyed this tutorial! You can download the whole tutorial in PDF along with the template and the words to the fingerplay HERE. If you decide to make these, PLEASE let me know! Thanks so much Beth! I believe I am already following you, but I will double check :)! I have been a big fan of owls for years. Thanks for the template for these! They are too cute! Playing with finger puppets is such a great activity for children. In our house, we have: five little ducks, five little speckled frogs and all the characters from ‘Wombat Stew’. Making more is something I’d like to do when time permits. Thanks for a great tutorial. Thanks Pam! Yes my daughter is LOVING these right now! So fun! Thanks for stopping by! I LOVE these owls! I’m definitely going to make a set…or maybe two or three! I might make up another rhyme too! I’m excited to make them! 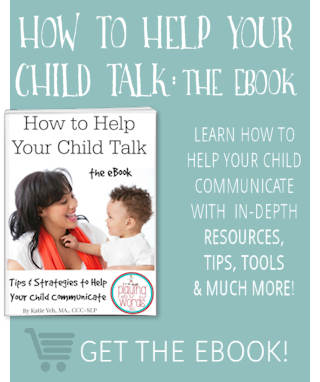 I have a preschooler and I work with preschoolers and toddlers, and I’m sure they will all love these! Carla, I’m so happy you like them! I actually DID make up another owl fingerplay also!! But I wasn’t ready to share it with the world yet 😉 Let me know how they turned out!! They are adorable!! Thank you for sharing them at Crafty Moms Share’s Sharing Saturday! 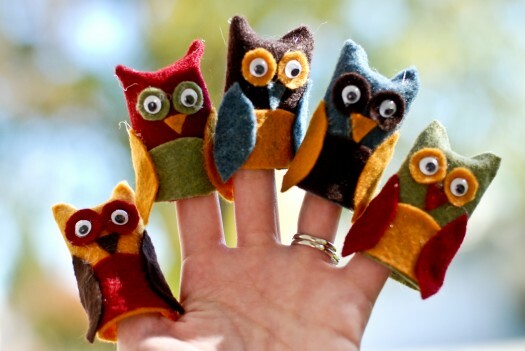 What cute owl finger puppets, I am a big owl fan, and love working with felt. These look great! Thanks April. I know, aren’t owls just adorable?? Thanks Aimee! I’ll be sure to share them on the Sunday Showcase! 🙂 Thanks for stopping by! This was your first craft tutorial?! A wonderful tutorial and cute, cute project! Yes it was Margaret! Thanks so much for the kind words and for stopping by! 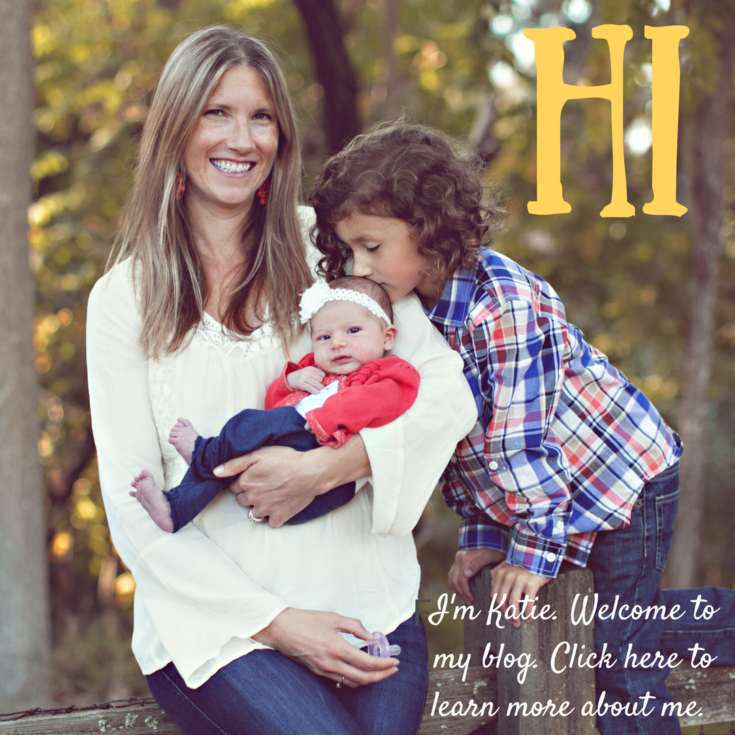 Thanks Amanda for the pin and follow! 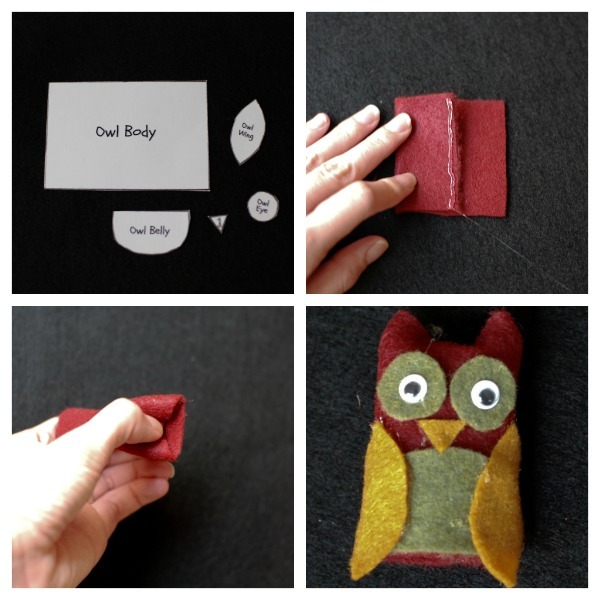 Oh my goodness I just looked at your blog, ADORABLE owl crafts!! I’ll head over and follow you back! Thanks =) Just added another comment as we just linked back to this post in our most recent “owl” crafting adventure!!! Thanks so much for your comment on my turkey puppets! I saw your cute little owls earlier this week and should have left a comment! I love them! What a great idea! These are so cute! I definitely need to make some finger puppets for my little boy soon. If you make them Jenny let me know! Thanks for stopping by! Ah ha ha ha Jessica! So glad I could help you out with the template! They are actually REALLY easy, seriously. And so fun! 🙂 Thanks for stopping by! I just wanted to let you know that I used your basic tutorial and made a bunch of owls! I had so much fun and my kids love them!! Thanks for sharing!! 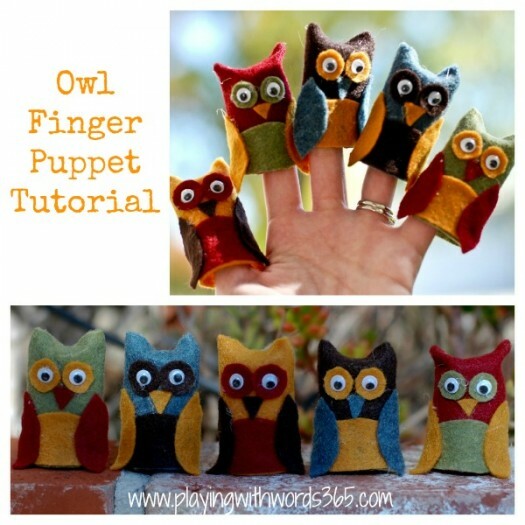 My post and rhymes are up now at http://wholechildcreativecurriculum.blogspot.com/2011/11/owl-finger-puppets-and-rhyme.html. Awesome! 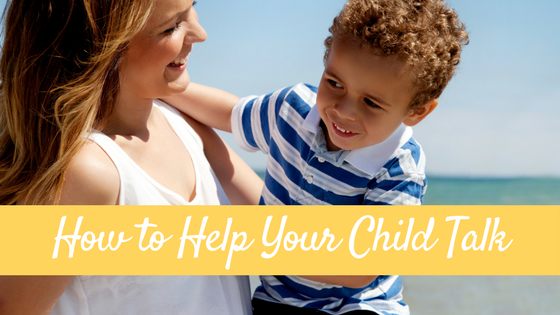 Thanks for the link Amanda! In know Carla (see comment above) did some sewing on hers, and they turned out ADORABLE!!! these are great! love them and I know that my little girl would too. Thanks for sharing & linking to the Sunday Showcase! Hope to see you this week. A librarian in Canada, on my day off making owl finger puppets for storytime. I’ll read Little Hoot by Amy Rosenthal & Jen Corace, a story of a tired little owl whoo’s parents make him stay up late “Rules of the roost”. Love these! Just made a set for my daughter’s preschool teacher (the fabulous Miss Jamie of Play to Learn Preschool!) and a set for my own kiddos to play with here at home! One little crafty trick that I love and share all the time – if you want to get rid of those pesky hot clue stringies just blast them with a quick shot from your hair dryer! No more hot glue spider webs everywhere. Also, if you have freshly painted concrete block walls do NOT use hot glue to hang your posters in your classroom. I won’t admit to being the reason there are several bleached out spots on a classroom wall that used to be mine!